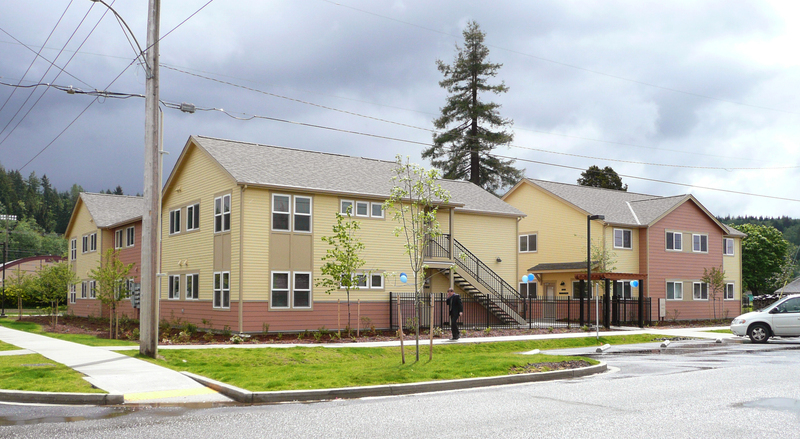 The Pacific Pearl provides 15 apartments in 2 buildings designed to fit in the single family neighborhood in South Bend, WA. The project provides for community spaces and supportive offices for survivors of domestic violence. 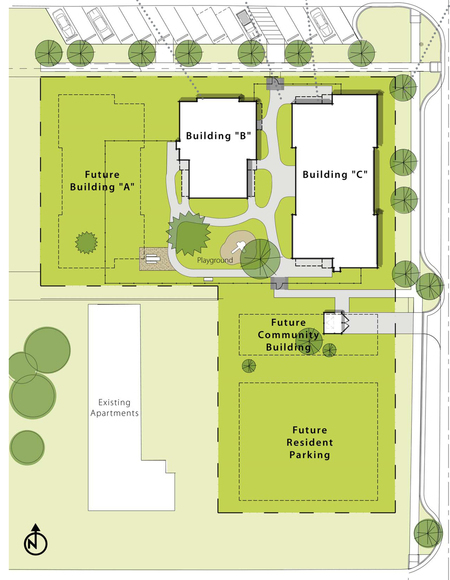 The units open onto a south facing, central courtyard and play area designed around a large existing evergreen tree. Featuring large windows and a warm color palette, Pacific Pearl creates an uplifting environment for its residents. 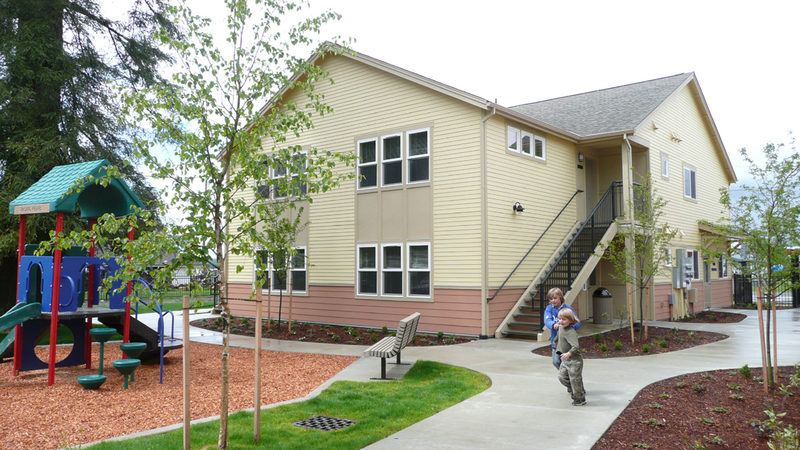 Designed to Evergreen Sustainable Development Standards, the units use 15% less energy than the WA State Energy Code. 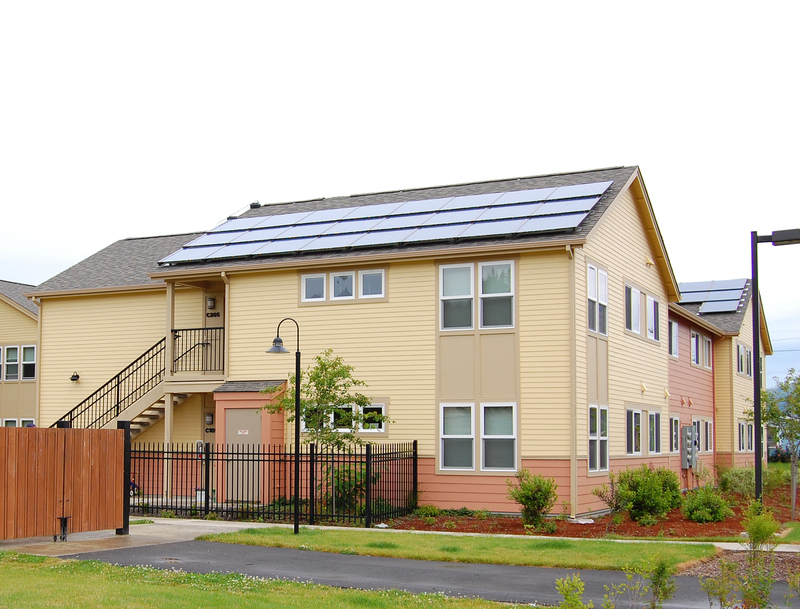 Solar panels are installed on the south facing roofs and provide energy for the administration and counseling offices, laundry room, and community space.